Description Studio 52 is Audio-video production company in UAE. 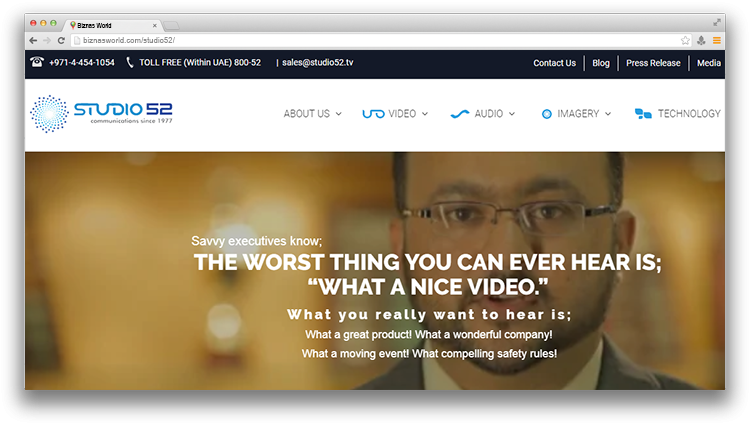 Offers high tech videos for safety training, construction, 2D/3D animation, timelapse, corporate video production, radio, ivr ,thm service. Address Office 402, 4th Floor, Sobha Ivory Tower 2 Business Bay, Dubai – UAE.